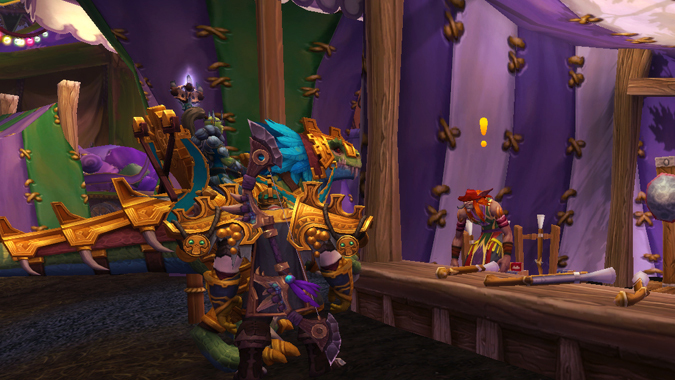 Ah, the Darkmoon Faire, monthly favorite for games, toys, achievements, and leveling professions… until now, that is. Profession quests used to give you +5 for each profession, but as of patch 8.0.1, profession quests at the Darkmoon Faire will only get you so far: level 300, to be precise. Profession changes have dealt this monthly leveling boost a serious blow, and it’s an intended one. Professions got a major revamp with the launch of Battle for Azeroth. Rather than add a straight skill level increase, each expansion has its own skill level (an corresponding section in your profession’s recipe tab). 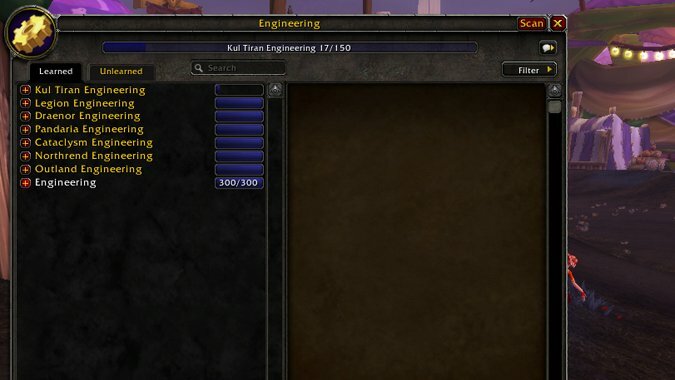 Crafting recipes learned from a certain expansion will raise that expansion’s skill level higher, but won’t do anything for skill levels from other expansions. On the one hand, this is great, because it means that you don’t have to level every other expansion’s worth of skill points before you can make Battle for Azeroth gear. It makes the profession grind on a freshly made character or alt something far easier to deal with — and means that you can craft recipes that help you no matter what expansion you happen to be in. But skill points granted from the Darkmoon Faire only apply to classic WoW skill levels. They will not help you with the current tier of profession leveling, and once you’ve maxed out those 300 points, Darkmoon Faire profession quests will no longer help you at all. There’s a part of this that makes some small amount of sense, because the Darkmoon Faire isn’t really current content. But I don’t know if I’d classify it as classic WoW content, either. With the number of updates it’s seen over the years, you’d think it would be the outlier in all of this. Blizzard did say that they are looking to improve the experience in a future patch. What that means is deliberately unclear, but I’m hoping they’ll change the process to apply to whatever content happens to be current for your level. If your alt is level 65, let the profession points go towards Outland professions. If your character is level 98, let those skill points work towards Draenor profession skill. Regardless of how they change it, the simple fact is that the Darkmoon Faire just lost a little bit of its usefulness for max-level players. Legion professions were such a grind that the Darkmoon Faire was almost necessary to hit max level — yes, it was only five points a month, but those five points were useful. They aren’t useful anymore, unless you’re looking to craft recipes from classic content. It just seems a little silly to put a halt to one of the very few things that make the Darkmoon Faire more than a monthly round of random entertainment. We’ll have to wait and see what those future improvements look like, but until then — if you have your classic skill levels maxed out, don’t worry about doing those profession quests.